Amid a rut of stringent market conditions brought on by low volatilities, Danske Bank has promoted Niklas Karlsson, Claus Harder and Erik Akesson as Global co-Heads of Currencies, Commodities and Corporate Rates. Summer has been unusually active this year in terms of executive moves, despite historically low volatilities that have eroded broker profits across the forex industry. Despite this gloomy trend, Denmark-based Danske bank has fortified its position in Copenhagen and Sweden, with the trio of new appointments. Mr. Karlsson and Mr. Harder will both remain in Copenhagen, while Mr. Akesson will stay in Sweden, where he has been based out of Stockholm with the company. The triumvirate of co-heads will collectively report to Jens Peter Neergaard, Global Head of Fixed Income, Currencies and Commodities at Danske Bank. Mr. Karlsson has a long history in forex, dating back to 1987 with Svenska Handelsbanke. Since then, he has held a variety of senior level roles at Svenska, along with Sydkraft Energy trading and Danske Markets, Danske Bank as of 2000. Alternatively, Mr. Harder has been a Danske Bank regular for over five years, having come over from Merrill Lynch. Before this, he has worked extensively in executive management at Goldman Sachs and UBS for seven years prior. 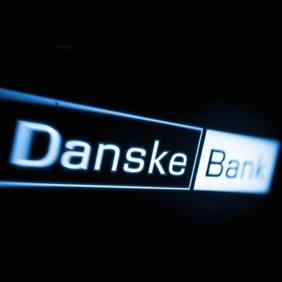 The final co-head, Mr. Akesson joined Danske Bank nearly four years ago from rival Nordea – like his counterparts, he has also earned experience at a number of leading financial institutions, working at Royal Bank of Scotland (RBS) and HSBC.